The course provided the training needed for each area to implement data collection systems for monitoring and evaluating their projects. The monitoring records have now been developed and the teams have been taught how to complete them. Here Reeshma is helping some of the team members with the forms. The participants stayed at Naming’azi Demonstration Farm in the Central Region during the training which allowed staff members from each area to network with each other and discuss implementation issues. Following the training, Reeshma and Ashif have been going out to each project area and helping the teams implement the training they received. There have been some modifications made to the diffusers which meant more holes with a smaller diameter need to be drilled so that the water is spread out more evenly over the sand in the filter. Ashif and Reeshma offered computer training sessions for all staff in attendance. They reported the excitement in watching staff who have never touched a computer take their learning very seriously so they have now become quite proficient at entering data, using email and sending attachments. We have heard from the staff (who can now email us) that they thought they would never be able to use a computer and now they are showing others-plant a seed and it will grow. Ashif and Reeshma have also developed Yearly Cash Flow Records on Excel and have taught staff in each area to complete their financial records and email them to us following month end. A computer can be used to complete the data reports which are now being emailed to us on a regular basis for our review. 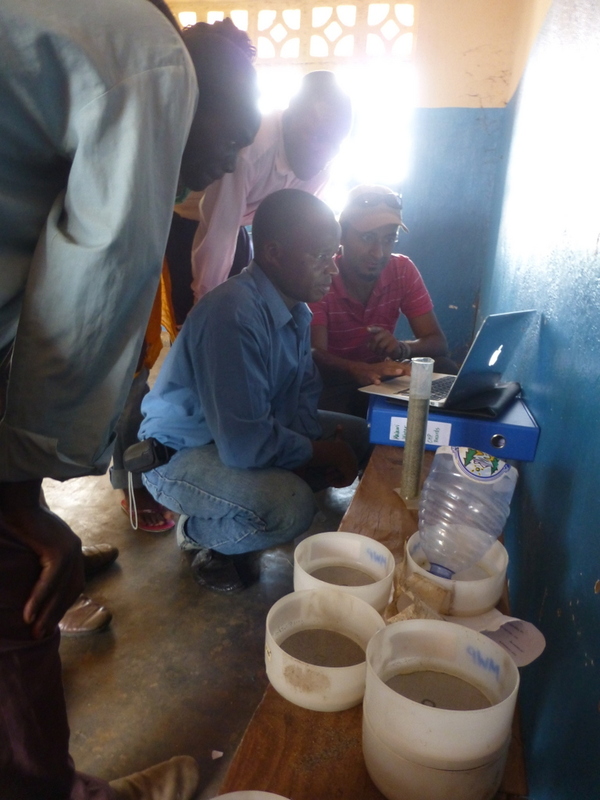 Computers are also used to do a sand grain size analysis which will determine if the sand is appropriate for use in the filter. 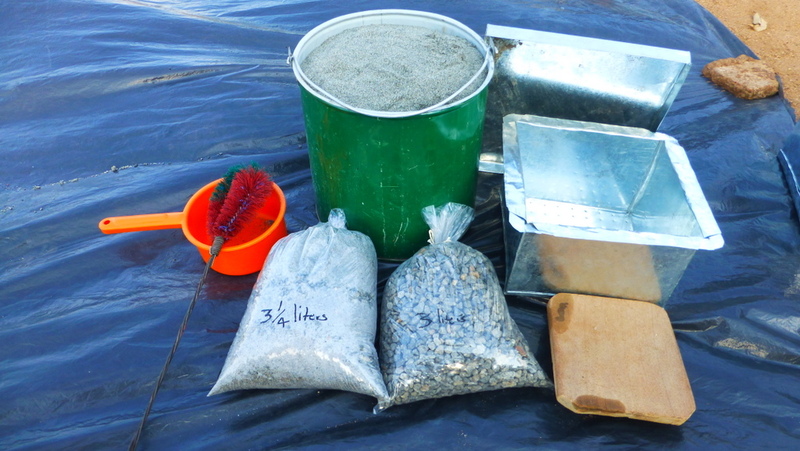 Not only have Ashif and Reeshma implemented the data collection forms, financial recording forms and communication by email, they have also helped organize collecting media, washing sand and gravel and installing filters. Here’s Ashif with a load of gravel. Ganizani Peason, is a young chief from a very remote village in the Chikwawa area. It is one of the poorest (and hottest) places in Malawi. There are often outbreaks of cholera during the rainy season. Ganizani has been working very hard to help his village obtain clean water. He works with the south team to construct filters and teach proper sanitation and hygiene. Here is is checking out the sand for the filter. The project has reached another level with the work that Reeshma and Ashif have done over the last few months. It has been wonderful having them as volunteers on the ground. To make things run more efficiently, they have also set up internet banking for the project and taught each of the groups how to use it. This is amazing when you realize that most of them have never had a bank account. 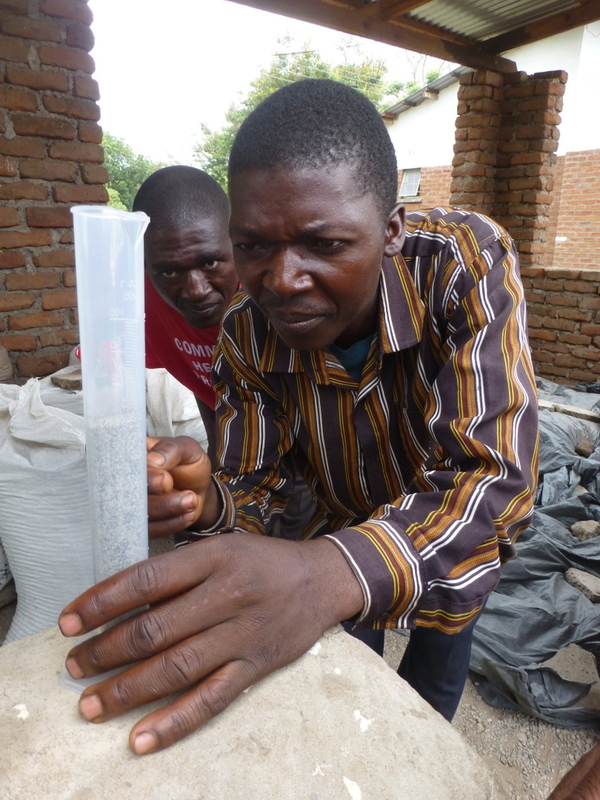 Another amazing note is that the Malawi water Project now employs 16 people all CAWST Certified as either Biosand Implementers or Community Health Promoters. Not only are we providing clean water, we are providing employment in a country that has a very high unemployment rate.